He doesn't have to take less. In the contract you can change how it's paid out over the term of the contract. For example, they can make his base pay into signing bonus which can be pushed out over 5 years. It's done all the time. Gotcha, I didn’t realize you were just looking to kick the problem further down the road. Even if that is the plan for the Vikings, I still don’t think Cousins bites, unless every year of the extension is fully guaranteed. Probably at 30 million per year as well. That means if you are looking to alleviate 10 million from his 2020 salary and he extends for 2 more years, you are paying him 35 million per in 2021 and 2022. With 2021 ALREADY having 120 million of cap going to only 14 players (none of which is Thielen, Waynes or Cook). I'm not worried about it. We have one of the best cap managers in Football. I'll let him worry about it. MINNEAPOLIS (AP) — Adam Thielen is doing things even Hall of Famers Cris Carter and Randy Moss didn’t accomplish in Minnesota. The former undrafted wide receiver from NCAA Division II Minnesota State is the first player in NFL history with at least 100 yards receiving in eight straight games to start the season. Calvin Johnson also had an eight-game streak in 2012. Thielen already has 74 catches, putting him on pace to break Marvin Harrison’s single-season record of 143. Carter holds the Vikings record with 122 catches in 1994 and 1995. Thielen has 952 yards receiving. At this rate, he’d break Moss’ team record in 14 games. Moss had 1,632 in 2003. 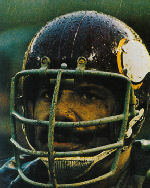 Johnson holds the NFL record with 1,964 yards receiving. Thielen also has a touchdown catch in five consecutive games. No players since 1970 has 100 yards receiving and a TD catch in six straight games. Thielen is closing in on becoming the sixth undrafted player with back-to-back seasons of 80 catches and 1,000 yards.